As we complete our holiday shopping lists and scoop up all the perfect gifts for our loved ones, we cannot forget the furry friends in our lives that we consider part of the family. From cats that actually snuggle to dogs that greet Us at the door happily wagging their tails each day — it is only right that we shower them with gifts to pay them back for so much unconditional love. Some of our favorite celebrities treat their pets like absolute royalty. Sofia Vergara threw an elaborate birthday party for her son Manolo’s dog Baguette, complete with a huge pink cake! Meanwhile, Mike “The Situation” Sorrentino has vowed to bring his golden retriever, Mosley, along with him and his wife Lauren Pesce on their honeymoon trip. Still, we don’t have to be A-listers to give our pups the star treatment! One of the places we are shopping for our furry companions this season is Petco. Aside from the expected pet food and medicines, the retailer carries so many cool gadgets, clothes, toys and household products for a variety of animal lover needs. After browsing through the Petco holiday gift guides, its sale section and the super cool new arrivals — we have a few favorites that are absolute must-haves. Check out our top picks for showering our pets with the best gifts this season and beyond! Decorating a tree this year? 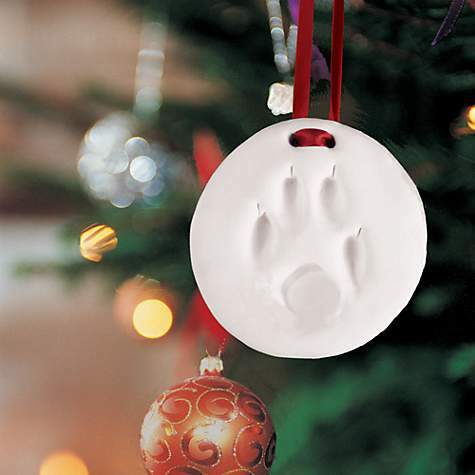 The Pearhead Pawprints Holiday Ornament Impression Kit For Dogs or Cats is such a beautiful gift! It’s another ornament we can add to a tree but it also serves as a sweet memento created by you and your pet. The kit includes one plastic shaping ring, one package of air-drying clay, a rolling pin, a plastic hole punch and one red grosgrain ribbon. We love that this small kit does not require any baking. All we have to do is knead clay, roll it out, wet the pet’s paw and press the animal’s paw gently into the clay. Afterward, we can cut the print with the shaping ring, make ribbon hole to hang, remove excess clay and let it air-dry for 24 to 48 hours for a forever keepsake. Easy peasy! See it: Snag the Pearhead Pawprints Holiday Ornament Impression Kit For Dogs or Cats for $10. It is available on a buy one, get one 50 percent off deal so this is the perfect time to scoop two gifts for an affordable price. Humans aren’t the only ones who love a cozy plush throw blanket! The Modern Luxe Collection Cuddle Dog Throw and Pillow Set is perfect for the pets that love cuddling beyond the average dog or cat. Trust Us, you haven’t seen adorable until you’ve watched a dog or cat curl up beneath a blanket and snuggle up to a pillow. There are seriously lots of animals who have never been happier than when they are nestled with their very own blanket. We cannot wait to treat our fur babies to the same relaxing experience we love. 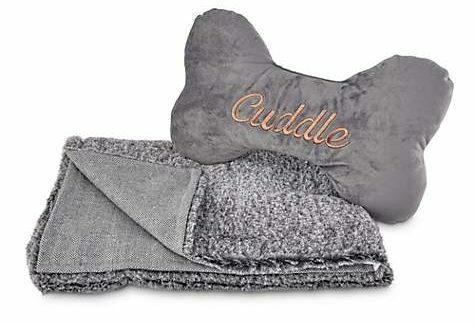 See it: Snag the Modern Luxe Collection Cuddle Dog Throw and Pillow Set for $20. It is available on a buy one, get one 50 percent off deal so this is the perfect time to scoop two gifts for an affordable price. Every dog owner with a regular chewer or a strong dog who cannot keep a toy for long due to their naturally strong teeth will love this Kong toy — and any toy by the brand for that matter. No more wasting money on toys that cannot hold up to our pets’ teeth or coming home to unwelcomed chew marks throughout the house. 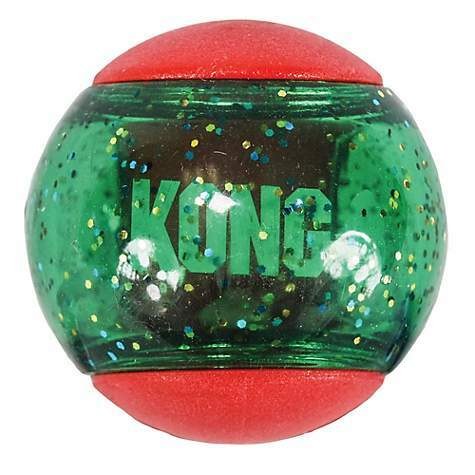 The KONG Squeezz Action Holiday Dog Toy Ball has a festive green and red design with sparkly specks meant to be engaging. It is also designed with durable materials a pet can chew on for an extended period of time. The ball comes in two sizes: small and medium. See it: Snag the KONG Squeezz Action Holiday Dog Toy Ball for $10. Want to check out more from the brand? Browse the entire KONG section at Petco for more quality dog toys meant to last! See it: Shop all of the holiday offerings and sales at Petco while so many deals are available.